SERVPRO of Martinsville & Henry County has been providing excellent service for the surrounding areas for 30+ years. We have a wonderful crew that prides themselves on being considerate and thorough when it comes to our customers's specific needs and their belongings. We know that when dealing with unexpected situations, such as water or fire damage, our customers are already feeling the stress and concern for their home and personal items. In some cases the damaged items are irreplaceable and priceless to our customers. Our team has been complimented repeatedly on the level of respect and empathy they show when dealing with these items during these difficult situations. 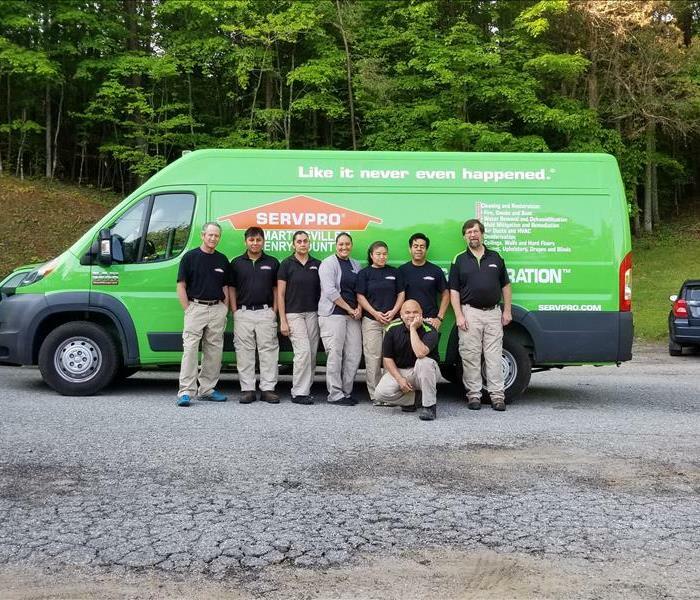 If you ever find yourself in need of our services please know that SERVPRO of Martinsville & Henry County will handle your particular case with the utmost respect and care. We will make it "Like it never even happened." SERVPRO of Martinsville & Henry County is locally owned and operated—so we’re a part of this community too. We are also part of a national network of over 1,700 Franchises, which enables us to respond quicker with more resources. For major storms and disasters, we can call upon special Disaster Recovery Teams strategically located throughout the country.